Dollops of Diane: My One Year Boot Camp-iversary! Today marks the one year anniversary of the day I started boot camp. Like with everything, it seemed to go by so fast. In this case, I honestly can't believe I've stuck with it for this long. I have just never been a worker-outer. I don't like to get dirty. I don't like to sweat. I don't like to exert myself. Can you tell why it's a mystery that I've lasted this long?! There's something about this boot camp though that forces me out of bed several days a week at 4:45am. Maybe it's the insanely petite and encouraging instructor (Hi, Carrie!)? Maybe it's the super nice people I've met there? Maybe it's the thought of some "me" time before the morning rush? Maybe it's all of the above? What I do know though is that taking the first step to sign up for this class last spring was HARD. I actually didn't want to sign up but a friend convinced me. I hadn't worked out in years and years and I was petrified of the first class. I somehow managed to not vomit during it and survived that week by popping Advil and then never looked back. One year later, I love how much stronger I feel. I love that I know what I am capable of and that I strive for more. I love that when one of the kids asks to race me from point A to point B I don't have to even hesitate to know that I can actually run that distance (even though I still hate running!). I love that working exercise into my life also made me make other healthy lifestyle decisions. I eat better. I drink better. I live better. So today, I'm thankful that one year ago I pushed fear to the side and went to that first class. At the time, I really had no idea how life changing it would be for me and the amazing people I would meet along the way. Do you live near Foxboro, MA and are thinking of taking the exercise plunge? 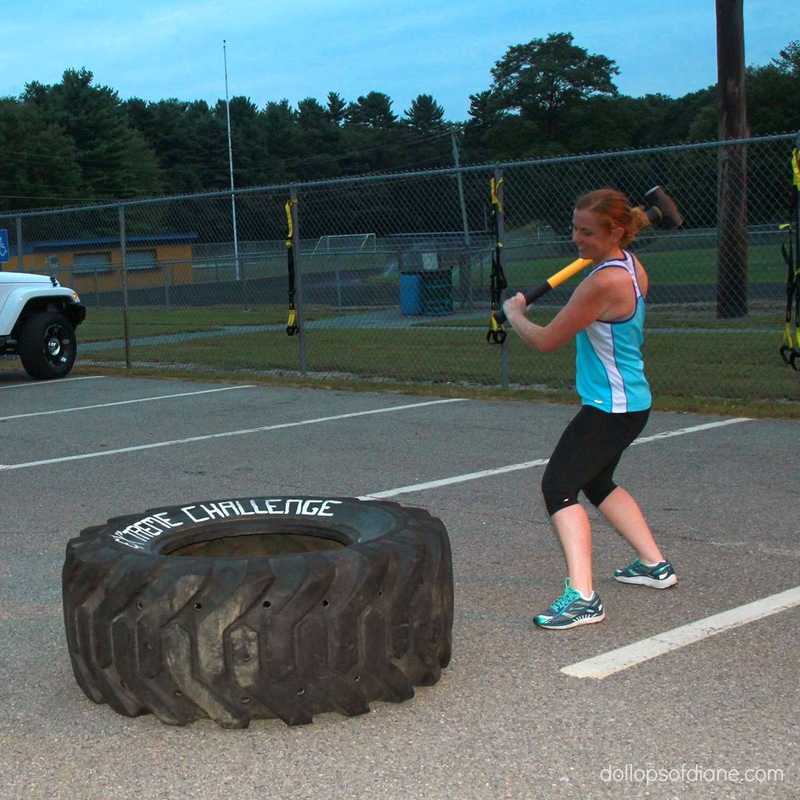 Click HERE to find out more about The Extreme Challenge Boot Camp! We'd love for you to join us!